No longer are parents able to wait until high school to plan for their child’s college education. Today, more than ever before, preparing for college has become a necessity. The competition to be accepted at desirable universities has become overwhelming and if that is not enough, the cost for college education continues to increase to higher levels. How do I prepare my child for college acceptance? Due to today’s competition, it is best to start early. Colleges like to see applicants that are well rounded. They not only need good grades but administrators look for volunteer work in your community, extracurricular activities, science fairs, contests and so much more. How can I afford my child's college education? Saving early is one of the best ways to pay high tuition bills later on down the road. Establishing a college savings plan (529, Coverdell or UGMA/UTMA account) is a step in the right direction. Typically, parents who have not taken advantage of a college savings plan scramble to find resources to pay for tuition. They may consider a home-equity line of credit, they may draw on their investment accounts or borrow from their 401K, others may just not fund college for their children. Let us help you learn more about college savings plans and whether or not they are right for you! What should I consider as my child heads off to college? As your child heads off to college, remember at 18 years old he or she is considered an adult. As parents, you may want access to your child's health information. Talk with your son or daughter about HIPPA laws that require your child to formally release their health information to you particularly in an emergency. This is also the time to speak with your child about advanced directives/health care proxies in the event of a serious health issue that could render your child unable to communicate his/her wishes regarding health care. In addition, it is important to think about legal documents if there are financial accounts solely in the name of your child. Adding beneficiaries to individually held accounts is highly recommended. Do consider establishing a Power of Attorney (POA) for your child. Do look for a 529 fund with low expenses and consistent growth in performance. Do draft a Healthcare Proxy. Do explain to children that once they become an adult, you are restricted from obtaining their health information unless they prepare a written consent. Do inform your child about his/her healthcare coverage, particularly if you have an HMO plan. Call your homeowner’s agent if you need additional insurance on your child's electronic equipment at college. Call your auto insurance company to notify them of a vehicle location change if your child takes a car to college. Ask your insurance agent whether anything needs to be updated on your umbrella policy. employment rate for 18 to 24 year olds with a bachelor’s degree or higher. employment rate for 18 to 24 year olds who received a high school diploma. higher median earnings for 18-24 year olds with a bachelor’s degree vs. high school diploma. Don’t forget there are several options to help pay college expenses – including grants, scholarships, and student loans. Don’t think a 529 plan can be used to pay for student loans. Don’t forget, you can roll savings bonds into a 529 without a penalty. Don’t overlook the possibility of asking grandparents to contribute to their grandchild’s college fund. Don’t think college is automatically paid for if your child joins an ROTC Program. Don’t forget anyone can contribute to your child’s 529 plan. Don’t forget saving sooner is better than later. Compound interest needs time to work. Kim and Jay started their family when they were in their 30s. With a modest income, they were concerned they would not be able to afford the high cost of college for their daughter Ashley. They came to us for financial advice. We first put them on a budget. Then we explained how similar families successfully afforded college tuition for their children using college investment plans such as the 529 plan. Kim and Jay left the appointment rolling up their sleeves and ready to get to work. Within a few weeks, Kim called us with terrific news. She explained that she and Jay talked to his parents about 529 plans. The parents decided to gift them $20,000 to start a college savings fund for Ashley. The $20K initial investment, coupled with $100 monthly contributions, grew their college fund to $110K in 15 years and saved the couple over $37,500 in taxes. Today, Ashley attends a state university. She was awarded a merit scholarship and took out a small loan. The rest of her education is funded by the 529 plan. Ashley is studying to be an architect; Kim and Jay are proud parents. 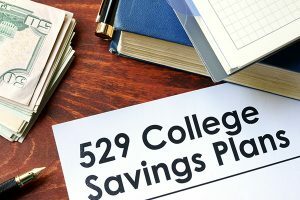 A 529 savings account is a tax-free savings plan designed to help families saving for future college costs. Look for a plan that offers top-rated funds, high contribution limits, and low expense ratios. A power of attorney (POA) allows parents to sign documents and make decisions concerning the financial affairs of a college student if he or she becomes incapacitated. A healthcare proxy permits parents to make healthcare decisions for their child if they are physically unable to do so. A HIPPA release form authorizes healthcare providers to release medical information on an adult children to the designated individual. Healthcare coverage can include HMO plans. An HMO insurer may not offer coverage with providers located in the vicinity of the student, so you may want to investigate insurance options offered through the school.